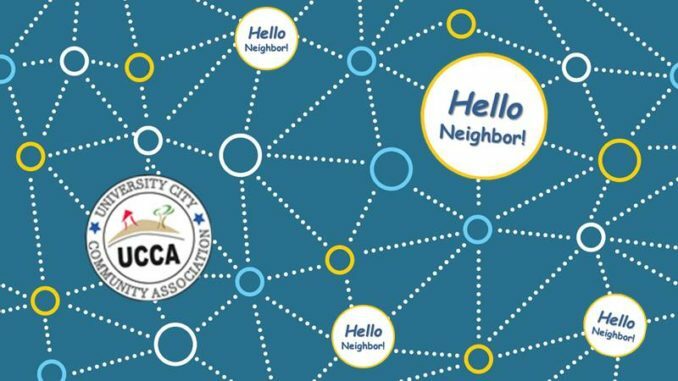 University City Community Association (UCCA) will host a community meeting on Wednesday, November 14, at 6 PM at the Community Library at 4155 Governor Drive. We’ll be setting up from 5:30 on so plan to arrive early to meet and greet and network. Refreshments will be served. Please join us; all are welcome. This month’s meeting will feature an update on the Citizens Advocating Safe Aviation watchdog group as well as information about the December 8 Memorial and Tree Dedication to the victims of the F-18 crash that occurred 10 years ago and took the lives of four of our University City neighbors. We’ll also have reports on the Community Plan Update and traffic safety on Governor Drive. Ongoing agenda items include updates from community and legislative representatives such as the Police and Fire departments and local elected leaders. Each meeting includes an Open Forum during which interests and concerns may be expressed. If you have an agenda item to suggest or would like to speak during open forum, please use the Contact Us link at https://www.universitycitynews.org/ or email us at universitycitynews@gmail.com.